Rev. 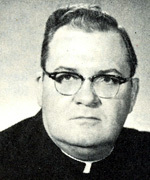 James M. Kelly, CSV, died at the age of 62, in the 41st year of his religious life and in the 34th year of his priesthood on January 22, 1978 at St. James Hospital, Chicago Heights, Illinois. He was born in Chicago’s St. Bernard Parish, but grew up in St. Patrick Parish, Joliet, Illinois. He attended Quigley Preparatory Seminary and joined the Clerics of St. Viator in 1936. Following studies at St. Thomas Seminary, Denver, he was ordained in 1943. He also had attended St. Viator College, Bourbonnais, and DePaul University and received an M.A. from the University of Illinois in 1939. Father Kelly taught mathematics, physics, and chemistry at the now closed St. Philip Basilica High School from 1944 to 1961 and Marian Catholic High School, Chicago Heights, Illinois from 1962 to 1975. He entered semi-retirement in 1975, serving as chaplain to the Sisters of St. Dominic who taught at Marian Catholic. A wake was held Tuesday, January 24, 1978 at Theis Funeral Home, 3715 North Pulaski Road, Chicago, Illinois, at 4:00 p.m. A wake service was held at 8:00 p.m. The funeral celebration was held at St. Joseph Church, 17951 Dixie Highway, Homewood, Illinois, at 11:00 a.m. on Wednesday, January 25, 1978. 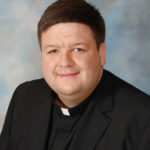 Please remember Father Kelly in your Masses and prayers.